Scotia Place FItness Centre Managed by Fit N Well Inc.
Scotia Place Fitness Centre cardio area. Corporate fitness facility managed by Fit 'N' Well Personal Training. HOURS: The Scotia Place Fitness Centre is open from 5:45 a.m. to 8:30 p.m. daily. 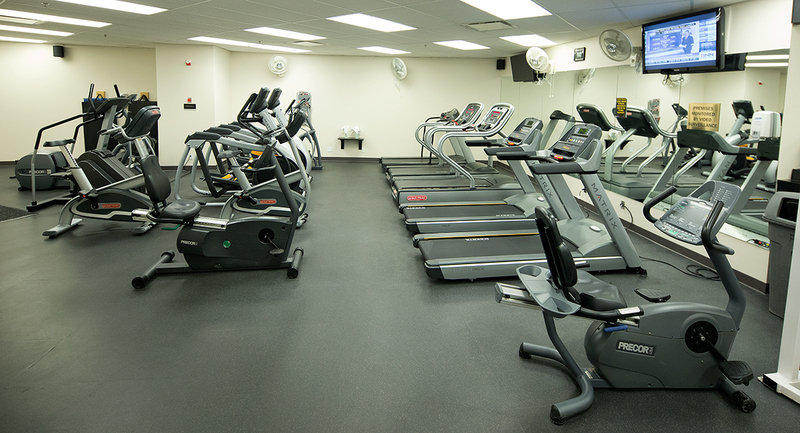 MEMBERSHIP: Only Scotia Place tenants are allowed to use the fitness facilities. Membership rates are $20 per month. Lockers are free to use during your work out. If you would like to rent a locker on a monthly basis, small lockers are $5 each and large lockers are $10 each. All prices include G.S.T. You may pay for your membership in the Scotia Place Fitness Centre between 10a.m. and 2p.m. weekdays. 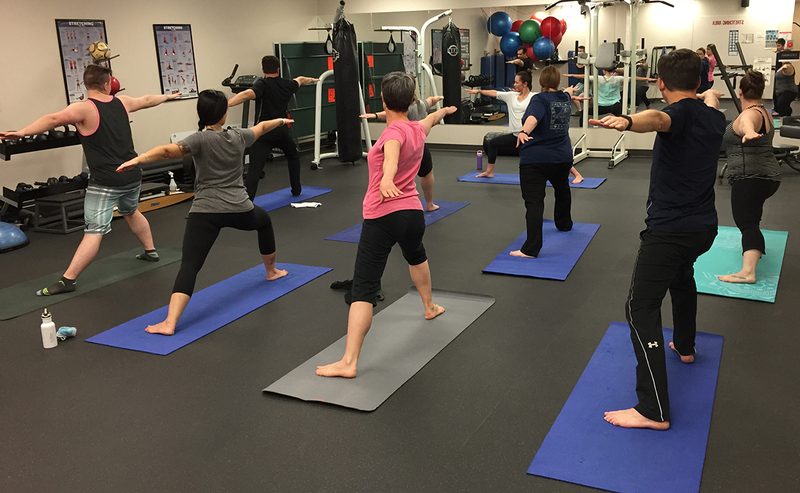 PERSONAL TRAINER: A personal trainer will be at the gym Monday through Friday from 10a.m. to 2p.m. to answer questions and provide fitness tips. If you would like a fitness program designed specifically with your needs in mind call 780-423-5966 or see Greg at the gym between 10a.m. and 2p.m. You can work out with your trainer for an hour and purchase a package of sessions that suits your needs. You can see your personal trainer for Power Half Hour sessions. EXERCISE CLASSES: All classes are subsidized by Morguard so are only $2 per class. (Payable directly to your instructor). You must be a fitness club member to partake in any fitness classes. Yoga: Join Pierina on Tuesday's and Friday's at 12:10 to 12:50p.m. for Toonie Yoga. Yoga class gets busy, so come a few minutes early and set out your mat. If you don't have a mat you can borrow one of ours. We start at 12:10 to give everyone time to get down to the gym and and at 12:50 so people have a chance to grab a bite to eat after yoga. It is super convenient and our members love Pierina. She's a great yoga instructor! 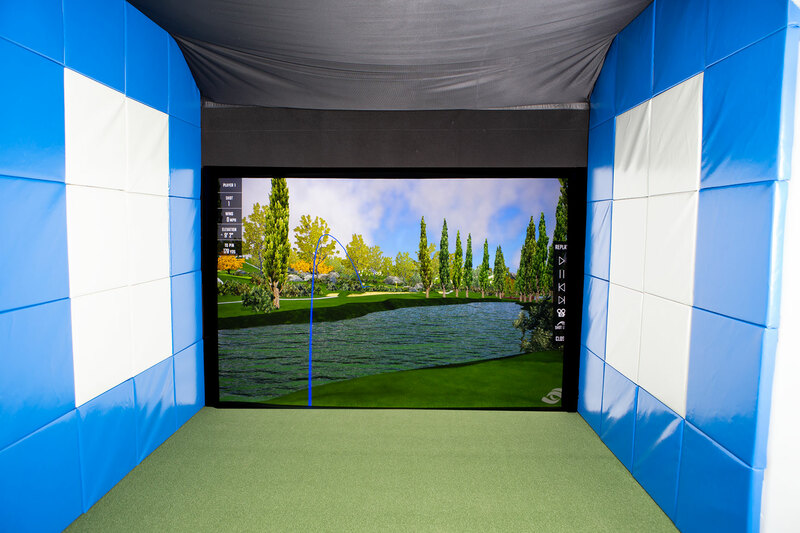 Our brand new state of the art Golf Simulator is here! You can play 5 different holes. Come down and see Greg between 10a.m. to 2p.m. for a tutorial on how to use the simulator. Please note, the golf simulator is not available between 12:10-12:50 on Tuesday's and Friday's while yoga is in session.